Last month the beta version of Minecraft for Android added a ton of new features, most notably a port of the player skin feature that's become such a popular part of the original Minecraft game. 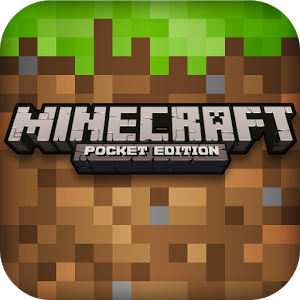 Just a couple of weeks later Mojang has instituted the changes in the public version of Minecraft: Pocket Edition. Go check it out on the Play Store now if you've already purchased the game, or buy it for $7. Skins are a big deal. Not only do they allow the greatest amount of player customization after, well, making stuff in Minecraft itself, they also represent the game's first post-purchase revenue stream. Some skins will be free, while others will come in themed skin packs that you can buy via in-app purchases - at the moment they all cost $1. Don't worry, if you're averse to paying for skins you can upload your own and apply them to your character manually, including those from the Minecraft Skin Studio. Aside from the note for multiple language support, Mojang is being rather vague in the update text, so it isn't clear if all of the new stuff from the latest beta has made it into the public version or not. Among the "cool things" are new boats with space for up to two characters. So if you want to recreate the "kiss the girl" musical number from The Little Mermaid in blocky voxel graphics, go for it.